Anyone else a confessed Etsy addict? I am literally checking that site on a weekly basis for items for parties to personal treats for my friends, my home or myself. To keep myself from being overwhelmed I save the items I want to revisit in a favorites folder and want to share a few with you! 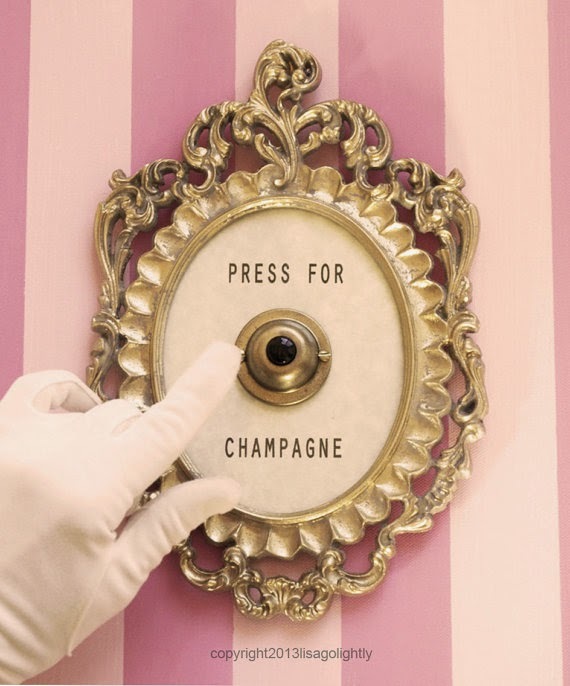 If there was actually a real "press for champagne button" all my dreams would come true...actually scratch that, make it champagne & puppies :) This darling shop has a ton of cute and cheeky buttons for the gal with a silly side. 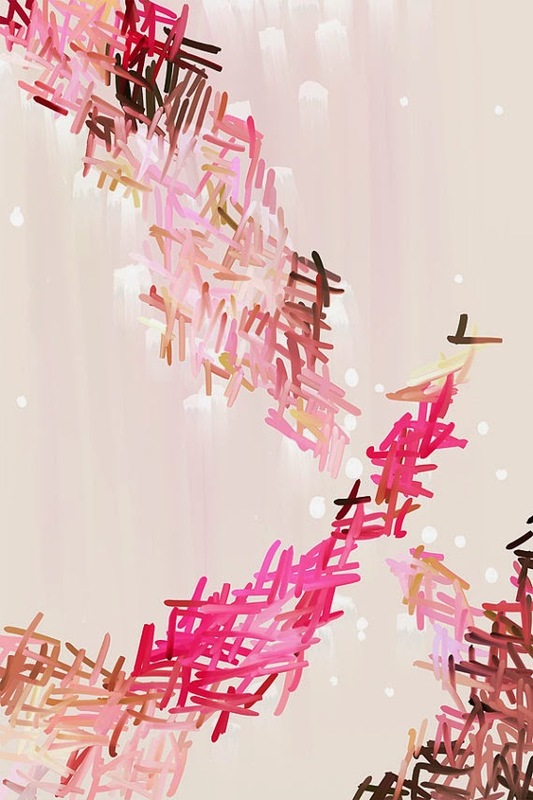 Fancy pretty art but don't want to spend a fortune on it? A great way to get the look of a painting is by framing and mounting a beautiful print like the beauty below. 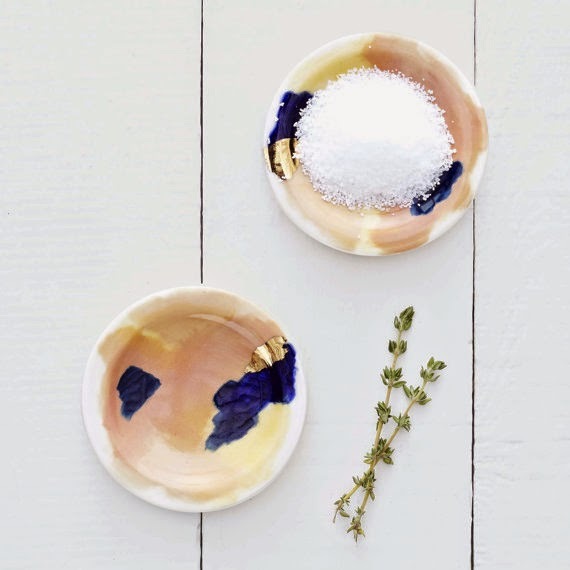 An artful little trinket dish is so cute to add a little color to your kitchen/ tables for pinches of salt & pepper or a pretty place to place your jewelry on your night stand. We cover our phones with cute cases all the time so why not our larger tech devices too?! 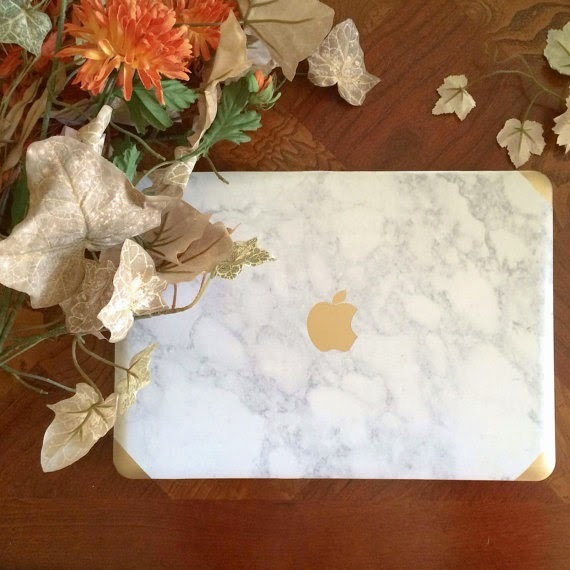 How amazing is this faux marble lap top cover? Seriously in love! 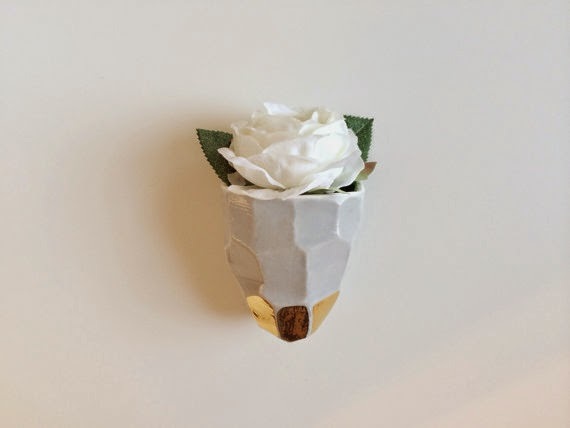 I am seriously smitten with these pottery planter wall hangings, grey & gold is one of my all time favorite combinations. I think they would look very cool in a kitchen or bathroom to display some fresh florals. I also love the designers marble ring dish in this shop. 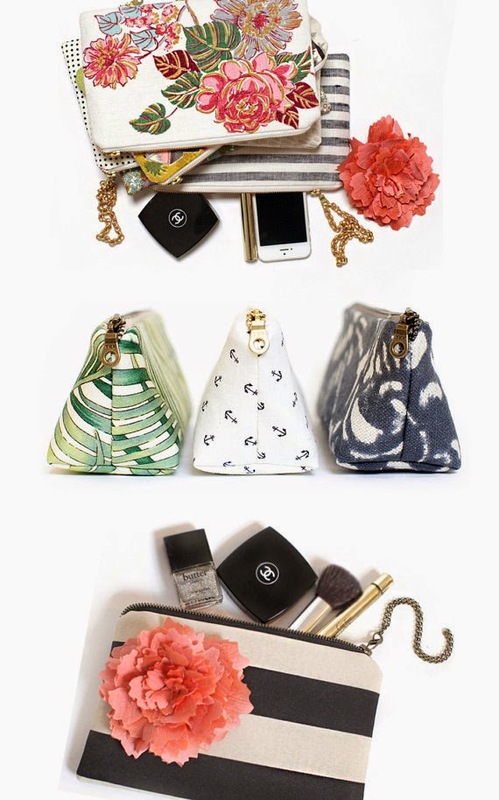 Pretty pouches, cosmetic bags and clutches in a slew of fabulous fabrics are a great gift to a gal pal or yourself! I personally love coordinated trios of pouches to throw in larger bags to help keep me organized. One for touchup beauty products, one for miscellaneous items that usually swim in the bottom of my bag like a tide stick, hair ties, bobby pins and so on and finally one for technology items as seen in this guest post.